What Was This Landlord Thinking? A young college student in Orlando moved out of a shared apartment before the lease was up. She left several pieces of valuable stereo equipment behind because she had no room for it in her new apartment. When the lease expired, her roommates moved out and left her property in the unit. The landlord then discovered the stereo equipment and that she’d painted her bedroom without permission. The landlord informed the former tenant that she would not get her property back because she left it for so long and had painted her room. She offered to give the equipment back if the former tenant repainted the room to match the rest of the rental unit. In most jurisdictions, it is not legal to hold a tenant’s property in return for back rent or repairs. Nor is it the landlord’s responsibility to serve as a storage business for a former tenant’s property. This landlord could assume the property was abandoned. And that the tenant never read the lease clause where she agreed to ask for permission before painting. Still, holding property for ransom is not allowed. Recently, a landlord in Minneapolis ranted about a tenant on his Facebook page. While he didn’t use any names, the description was clear enough—especially since the complaint was about hearing loud outbursts from a tenant’s developmentally challenged child. Not only was this heartless, it was not smart. The description narrowed the possibilities down to one. There is no substitute for discretion when you’re a landlord. Tenant issues should be confidential. And of course this landlord chose the wrong venue to discuss a tenant problem! Facebook posts have a way of going beyond your circle of friends. Plus, there’s no way to know who your friends’ friends are. In this case, the tenant caught wind of the rant and consulted a lawyer. A landlord in California did not require a tenant to sign a new lease when her boyfriend and his toddler son moved into her apartment. She completed a new lease application and paid the fee, and assumed he had been added. However, she didn’t question that no new lease ever appeared for her to sign. Her rent checks were paid from a joint account under both her and her boyfriend’s names. Eventually, the tenant discovered some peeling paint and, because the building was old, she tested it with a home lead paint detection kit. The results were positive. She filed a complaint with the landlord, who claimed she was not entitled to action because the boyfriend was not on the lease, and that he and the young child were squatters. The landlord threatened eviction. The tenant countered that she filled out an application and paid a fee, but had no copy of the application or of the $35 payment. Especially in California, every interaction with tenants should be in writing. In this case, the tenant probably has a case that she is being retaliated against because of the lead paint complaint. Both sides should have kept better records, but when it comes to eviction, a landlord should have documentation to back up every claim. Pot Smoking Tenants: Ignore or Evict? The Chicago Housing Authority is proposing a new rule that all adult tenants will need to be drug tested, and if they test positive, eviction proceedings will begin. While some private landlords would welcome the opportunity to test and then evict illegal drug users, more have to deal with tenants who smoke pot. If you’ve noticed the distinctive smell of marijuana wafting out of your rental properties, how did you handle it? Some might think that smoking pot is as harmless as drinking a beer, but it’s still illegal. And if you’re ignoring a tenant’s drug use, you could be putting your business at risk. Did you know that illegal drug use by tenants in your rental units could subject you to related property damage and personal injury suffered by other tenants or the public? Is it worth it to you? Your best move as a landlord is to include a clause in your lease agreement that tenants agree to not violate any applicable laws, including the possession, use or sale of illegal drugs. 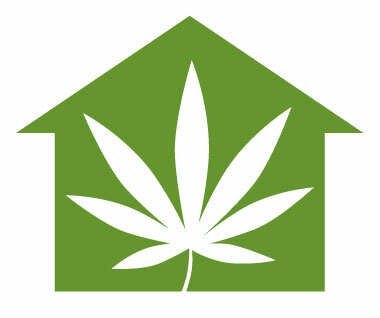 If and when a tenant violates the lease by choosing to smoke marijuana, you have the grounds to evict. Some landlords might think evicting over pot smoking is overkill. But allowing it can leave you open to litigation; the potential for harm is just too great. Besides, if you can smell marijuana, your other tenants probably can, too. What message are you sending if you fail to enforce the law, as well as the terms of your lease agreement? Landlords have lots to do, with interviewing and screening potential tenants, checking on rental properties, doing accounting tasks and paperwork, and working on their rental units. But it’s good idea to add another habit to your list: checking out the competition. Sure, you can view plenty of photos online, but visiting other rental properties in person will reveal way more detail. You can make more money: When you look first hand at other rental properties, you can rank your own accordingly. And, when you know what comparable properties are renting for, you might even discover you need to raise your rent. Are similarly sized properties renting for more or less than yours? What about those in the same area as yours? Do higher-priced rentals offer more or fewer amenities than you? You can see why your vacancies aren’t filling up: Looking at other rentals gives you the chance to see what upgrades other rental properties offer, such as higher-end floor coverings, countertops or light fixtures. How do your units stack up? If you install new fixtures or appliances, will you be able to upgrade your tenants and charge higher rents? You might forgo planned upgrades: Why spend money you don’t have to spend? If you are offering comparable units at competitive rents, then you might not recoup an investment of new carpets, upgrades in fixtures, or new appliances. If you are a landlord who hasn’t toured competing rental houses, apartment complexes or duplexes lately, you’re missing an opportunity. You don’t have to confess why you’re there—just act like a potential tenant, or say you’re checking it out for a friend, your daughter or your son. Or say nothing. Many apartment complexes are happy to give tours. Many landlords and probably all property managers would agree that managing rental property is a full-time job. If you’re a busy rental property owner, you may have considered hiring a property management company or an individual property manager. Have you added new rental properties? If you started with just one property, or less than a couple of units, for example, you may feel you can handle all the duties that come with managing rental property. Collecting rent, interviewing potential tenants, handling maintenance and repairs, and all the associated paperwork are just a few of the regular tasks required of property managers. But if you’ve purchased additional properties to increase your income, you may find that it’s just too much to handle all these duties on your own. You may need an experienced manager to help you do it well—and keep you from losing time and money by doing it not-so-well. Do you feel like you always need more time? There is a lot you can do with the extra time that hiring a property manager could bring. Take care of your own home. Exercise more. Spend more time with your family. Read a book and actually relax. Life is short, and time is precious. Think about the benefits that paying for professional property management will bring to your life. Is your rental property in another city or distant state? It’s probably in your best interests to have someone nearby managing your rental property. Managing from afar can lead to damage to your property, criminal activity, and a host of other problems that you’ll not hear about because you’re not there. Are you having trouble dealing objectively with tenant problems? After managing your own rental property, you may no longer be able to be completely objective and business-like with tenants. Keeping control and getting problems solved is a property manager’s job. They don’t own the property, so they don’t have the same emotional connection. 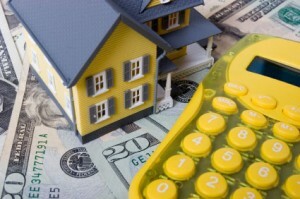 The right property manager can make a big difference in your cash flow, because they take care of issues that affect it. They fill vacancies, find the best tenants, and perform all maintenance and accounting. If it’s time for you to hire one, just make sure you choose a property management company that is squarely on your side. Landlords and property managers have to deal with tenant complaints. It’s just a fact of life when you’re in the rental property business. Whether you’re interacting with a tenant who complains frequently or rarely, it’s important to properly track the complaint and your response—you never know when you’ll need the facts of the matter to protect yourself and your assets. Encourage tenants to come to you with complaints, rather than letting them go or complaining to other tenants. You can foster this by demonstrating good listening and communication skills. Get to know your tenants as people, listen for clues about what matters to them, and give them the respect they deserve. When tenants trust you, they will be more likely to approach you with a problem. Creating an official form demonstrates to the tenant that you are taking their complaint seriously. It also allows you to keep a record of the situation. You can record details of how you handled the complaint, what repairs or remedies were performed, and you can even make a note of when to follow up with the tenant to be sure the complaint is resolved to their satisfaction. This becomes especially important in cases where a tenant withholds rent for non-satisfaction of complaints. Fixing broken windows or door locks, replacing noisy ceiling fans and other mechanical problems can usually be resolved to everyone’s satisfaction. When tenants complain about their neighbor’s bad parking habits or noisy parties, you have a more delicate situation on you hands. If your lease agreement includes a list of “house rules” such as quiet time or established parking areas, then you’re covered. You simply speak to the tenant who is breaking the rule and point out that expectations were clearly established. If the problem continues, written warnings and even eviction are your next steps. It may be difficult–if not impossible–to keep 100% of your tenants 100% happy. But the goal is to keep good tenants in your properties and to keep everyone as safe and as happy as you can. Resolving issues promptly goes a long way toward that goal. Should Landlords Require Tenants to do Rental Repairs? Ken is a long-time landlord who, in his own words, is getting tired of constant requests from tenants for maintenance and repairs in his rental units. Ken’s 6-unit building is beginning to show signs of age, and he’d love to make each tenant responsible to repair or replace their apartment’s appliances and heating system when they stop working properly. In fact, he’s thinking about adding this clause to his lease agreement. 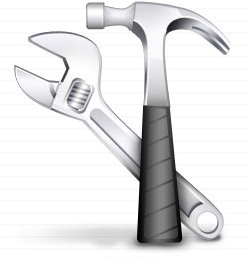 A tenant’s level of competence with repairs and maintenance is a complete unknown. Tenants may not repair appliances to an acceptable level—especially since they don’t own them. The liability of having a tenant work on electrical equipment is just too great. If they harm themselves or others, the landlord could face a liability suit. It’s not likely you’ll find a tenant who will properly perform preventative maintenance when it needs to be done or who will pay someone else to do it. Most renters like the fact that they are not responsible for repairs and maintenance—otherwise, they’d be homeowners. Putting such an important aspect of property ownership under the control of one’s tenants is just too big of a risk to take. Ken might want to think about raising his rental rates to a level that will cover the expense of hiring a maintenance professional. When a rental property starts deteriorating, it’s usually worth the effort and expense to fix it up. You’ll not only have a property you can be proud of, you’ll also attract tenants who care about their living quarters and will help you keep it in good shape. With a strong rental market, more landlords can afford to make improvements and upgrade their rental properties—and their tenants! Is a Landlord Responsible For Filling Vacant Rental Units? 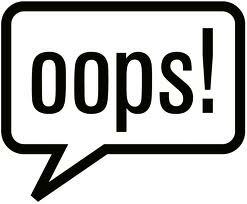 What is a landlord’s responsibility after a tenant notifies that he or she is breaking a lease early? Can landlords just allow a rental unit to sit empty, requiring the old tenant to continue paying rent until the end of the original lease? In a word, no. When a tenant breaches the terms of a lease, landlords are required to mitigate their losses by making a real attempt to fill the empty unit. Otherwise, apartments and rental houses everywhere would be sitting empty while tenants who need to move are paying rent at both their new and old places. Meanwhile, tenants who need homes to rent would be kept out of rentable units. But how much effort is required of a landlord? If he or she makes an attempt to fill a rental unit, does that suffice? How far must a landlord go before requiring the former tenant to make up the loss in rent? Landlord A advertises a rental unit at above-market rates. In this case, it’s not the tenant’s fault when the listing doesn’t attract any new applicants. The landlord is increasing her chances of loss of rent by advertising the unit at above-market rents. It wouldn’t be fair to require the tenant to keep paying rent until someone willing to pay too much comes along. Landlord B advertises the rental unit at the same rent the tenant was paying and posts “For Rent” signs on the building. This landlord is showing a real effort to mitigate his losses. If no suitable tenants come forth, it is not the landlord’s fault, and therefore the tenant would likely be required to continue paying rent until the unit is leased. 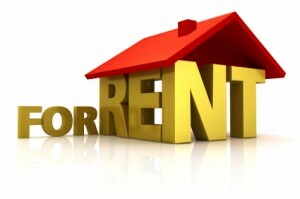 Keeping rental units full at rates the market can bear is good for landlords ad tenants. So, when a tenant notifies you that they’re moving out ahead of the lease termination date, make every effort to fill that vacancy, and you’ll make three people happy—the old tenant, the new tenant and yourself! Learn more about protecting your rental property and assets through tenant background checks. Proper tenant screening will ensure you are leasing to the best possible tenants. 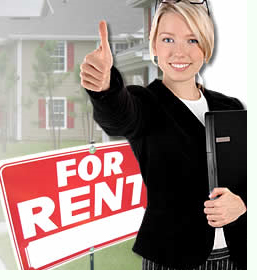 We’ve often advocated that screening tenants begins with placing your For Rent ad. It should continue with the phone conversation you have with prospective tenants when they call in response to your ad. What kind of reference will your current landlord give you? What kind of reference will your previous landlords give you? We run credit and criminal background checks on every lease applicant over the age of 18. Will there be any issues there? We require a lease application and a fee to cover the background and credit check for each tenant over 18. Is there any problem with that? Will you have the first month’s rent and security deposit ready if we sign a lease? Do you have any questions about the process or the rental unit? Do you have a problem with any of these requirements? *Asking “how many” rather than “do you have pets?” or “does anyone smoke?” often elicits an honest answer. If you do not allow pets or smokers, you’ve just eliminated the applicant. Depending on the answers you get, the interested party may decide you are not the landlord for him or her. And you may decide they are not the tenant for you. Either way, you’ve saved your valuable time by avoiding showing the rental unit and going through the lease application process.